Ciao! Hola! Haai! G’day! Konnichiwa! Hullo! Geiá sou! Aloha! We had a great trip. With so many fun activities come have a look! As many of you know, this summer we had our special program, “Passport to Fun”. The children visited the cultures of many different countries and continents including Italy, Mexico, Africa, Australia, Japan, The United Kingdom, Greece and Hawaii. 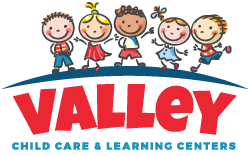 At Valley Learning Centers and Cactus Prescool, we put together a curriculum that explored the world without ever leaving one of our Phoenix Child Care Centers. It was so fun to see the teachers just as excited as the children! The staff helped decorate each of the preschools in theme with where the ‘Stay-cation’ was taking them. In Italy, several of the facilities set up some canals modeled after the ones in Venice and even had some gondolas. The travelers were able to dress up like a gondolier with a striped shirt, fun hat and the oar used to row the small ship through the canals. Did I forget to mention they wore mustaches as well?? They served as the school’s official traghetti(ferries). Fun fact – a gondola is actually moved by an oar, not poles like most people think. The Venetian Lagoon is too deep for a pole to reach the bottom. While in Mexico, some of the Centers brought in ingredients for the children to make homemade salsa with molcajete (stone pestles and mortars). It was a great sensory experience with so many different sensations happening at once. The students are sure to remember that fun activity. During the time spent in Mexico, the sombreros and ponchos came out and the fiesta ensued. Fun Fact – In the Mexican state, Coahuila, a poncho is often called zarape. The African Continent is vast and there are many different cultures, languages and climates – from the Saharan desert sands of Egypt, to the lush jungles in Congo and Gabon. The costumes on this leg of the journey were incredible! We had travelers ready to go on a Safari and other children putting on lion masks. One school even had a jeep ready to take travelers out into the wild. One of the children on a safari! Fun Fact – It’s estimated that over 1,500 different languages are spoken in Africa. Australia was great. The Great Barrier Reef took over a few of our Child Care Centers and there were even some travelers that may have been eaten by sharks! Snorkel gear and beach toys were plentiful. Children playing at sensory box at Chandler Child Care. Fun Fact – The Great Barrier Reef is the biggest reef in the world and can be seen from outer space! While in Japan, the children were able to eat using chopsticks, which can be hard even for some of us adults! The cherry blossoms bloomed in many of the Preschools and there were a few little girls who got to try on a kimono! In Japan, some of the students got to wear traditional Kimonos! Fun Fact – Kimono literally means “thing to wear”, in Japanese. Seems appropriate. The United Kingdom was magical. At our Paradise Valley Preschool, the travelers had a royal visit! The queen stopped by for tea. Other centers had some castles, other played some soccer – all had fun. The Queen popped in for tea! Fun Fact – The current queen of England, Queen Elizabeth II, has reigned while 12 different presidents served their terms in the United States. In Greece, children dressed up in togas and wore golden laurel wreaths. Some of the lunchrooms had chariots for them to ride around! Fun Fact – In ancient Greece, the laurel wreaths were made from a wild olive tree known as kotinos. Hawaii brought with it fresh coconut, hula skirts and beach settings. The children were so excited to cool down with some Hawaiian shaved ice during the hot, Phoenix summer. There weren’t any Luau’s this year, but maybe in the future. Fun Fact – Aloha actually means affection, peace, compassion and mercy. It’s become both a greeting and a farewell. Overall, it was a pretty incredible summer all around. The teachers had an amazing time learning more about different cultures all over the world. They were also able to create some amazing props for the ‘trips’. The travelers will hopefully never forget the awesome experience they had this summer! If you want to see some pictures of our amazing journey, check out our Facebook pages!